It’s the final game of the season against the Cubs (87-61), and the Reds (63-86) will try to end the series on a high note. After starting the season 7-3 against Chicago, Cincinnati has now fallen in its last eight games to their division rival. 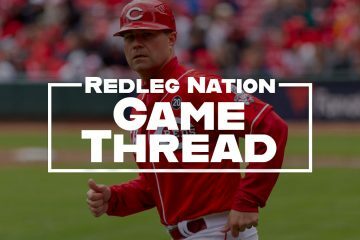 In the first two games of the current series, the Reds have scored just two combined runs, squandering strong starts from Matt Harvey and Cody Reed in a pair of one-run losses. They’ll look to turn it around in the series finale today at 2:20 p.m. ET. In his last six starts, Luis Castllo has alternated between good outing and bad outing. His last time out against the Dodgers fell into the good category, as he struck out nine and allowed just one run in 6 1/3 innings. Even with those shaky performances, the 25-year-old has been much better since July. In his 12 outings over that time, Castillo has a 3.09 ERA with 73 strikeouts and just 11 walks in 67 innings. Home runs remain Castillo’s primary problem, with 10 of them allowed during that span. Once he can start cutting those down, he can unlock his ace potential. Jose Quintana has also gone through a season turnaround of late, allowing only six runs in his last five starts. Fastball command plagued him earlier in the season, leading to a career-worst walk rate, but he’s started to regain it as the year goes on. That’s made his curveball, his out pitch, more effective as well. He faced the Reds just a few short weeks ago, giving up two runs on six hits and three walks in five innings. 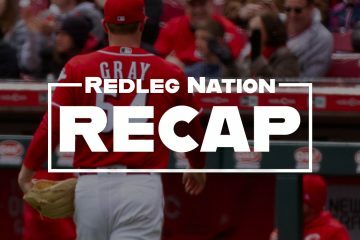 Scott Schebler and Scooter Gennett are back in the lineup after getting days off yesterday. Kris Bryant and Javier Baez are sitting out for the Cubs this afternoon. Yesterday, Cody Reed struck out 10 batters in only five innings. Only two other pitchers have struck out 10 or more batters in five or fewer innings in Reds history. The last to do it was Homer Bailey in 2010. Before that, Norm Charlton was the only other pitcher to put up that stat line, striking out 10 in 4 1/3 innings of relief on September 14, 1989. Replace ervin with Winker/senzel and i think you have next years lineup. Funny how that pitching rotation is still gonna be in flux. Replace Hamilton and Ervin with Winker and Senzel (with Ervin and BHam on the bench) and I hope you have next year’s outfield. Unless Gennett is traded for pitching. Please? Then Ervin starts and Senzel slides to second. But in any case BHam is the extra guy in today’s lineup, not Ervin. I get the feeling Winker is either the odd man and possibly not ready to start the season. I hope that isn’t the case. The comments on getting an OF or two and Senzel primarily playing LF worry me. Nice stat find on Reed’s K success yesterday Matt. So today is Interim Jim’s last game managing against the Cubs. That’s fine by me. I hope Interim Jim will not be managing the Reds when they face the Pirates on Opening Day but with the current ownership/front office, I can’t be too confident. Great to see the Reds playing Riggleman fundimentary sound baseball. Garrett comes through. Reds hangin’ on to the lead. Who is Dillon Maples?He just got us in order on 10 pitches and has pitched 9 innings in the big leagues and given up 11 runs. Nice win… End the Cubs series on the year on a high note.